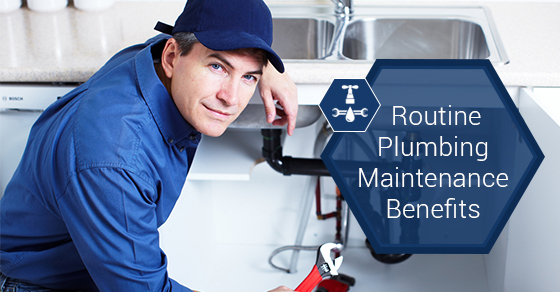 You may be surprised to learn that the majority of costly plumbing repairs can be prevented entirely. All that is required is a little plumbing maintenance. Routine plumbing maintenance tasks include cleaning the drains in your shower, being on the lookout for leaky faucets, checking the state of your caulking around bathroom fixtures—such as your sinks—as well as checking for signs of mold growth in your home. It is also recommended that you have your septic system inspected regularly. Damaged pipes are caused by unnecessary items being put down the drain—an entirely preventable problem. To avoid a blockage, and therefore leaks, avoid putting items like grease, large pieces of food, or kitty litter down your drain. Keep in mind that clogs actually put a burden on your pipes and shorten their lifespan, so it is best to avoid them as much as possible. Perhaps one of the most expensive plumbing repairs is caused by root damage wherein trees or shrubs damage the lateral line, causing a series of problems from clogs to damaged pipes and even structural damages to a home’s foundation. To avoid root damage from becoming a serious problem, be careful in your selection of trees and plants: plant everything far away from a lateral line and avoid planting anything that grows quickly. Frozen pipes are another expensive plumbing repair, caused once freezing water expands. Leaks can go on to cause even more problems, such as water damage, making the repair even more expensive. To avoid this, ensure that your pipes are properly insulated. Also check for any structural cracks in your pipes that could potentially cause cold air to get to in. Chemical drain-clearing products eat away at pipes. If you have cast-iron drainpipes, the chemicals in these products can completely erode your pipes. Since these products don’t actually get rid of a clog entirely, people tend to use even more of the product until they eventually get a leak.